Volunteer in Morocco with MCAS today. 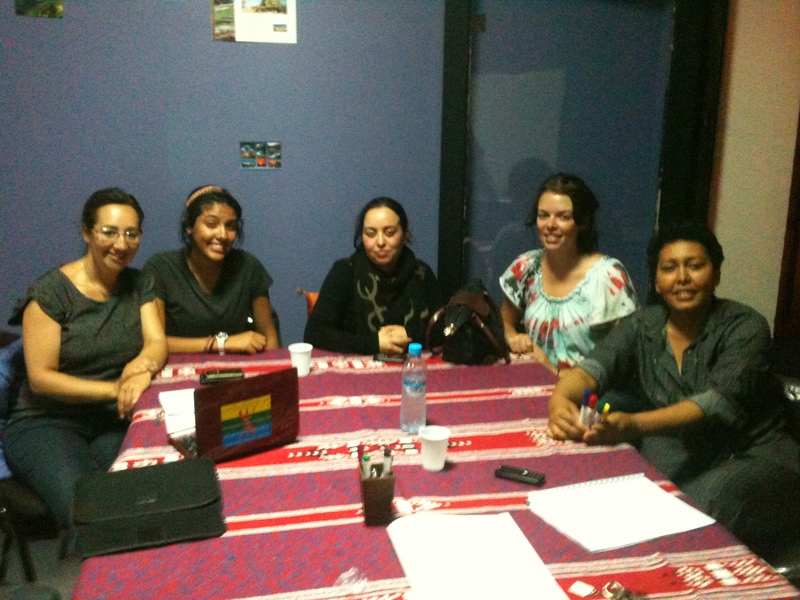 MCAS has facilitated a wide range of volunteering projects in Rabat, Morocco. Volunteers can choose to teach English, teach French, work with children or work with women’s groups . MCAS is based in Rabat, the capital of Morocco. The project placements that our interns and volunteer work and support are all within walking distance from their accommodation whether they choose to stay at our riad or with host families. Rabat is a perfect mixture of modern and traditional Morocco. The medina represents historical Morocco, as it consists of sprawling alleys and captivating workshops in the city’s ancient fortified walls. Rabat’s status as a hub of economic activity also contributes to the city’s unique flavor. In addition, its coastal location shields the city from North Africa’s hottest weather. Those interested in sightseeing can visit Rabat’s Kasbah, Hassan Tower, Chellah and other landmarks. Despite the Moroccan government’s push to improve literacy and promote professional development through the National Initiative for Human Development (NIHD), a great deal of Moroccan children and teenagers do not have the opportunity to acquire marketable skills. These young Moroccans are conscientious of the fact that speaking a foreign language will be of great use to them in advancing their education and positioning themselves in the job market. 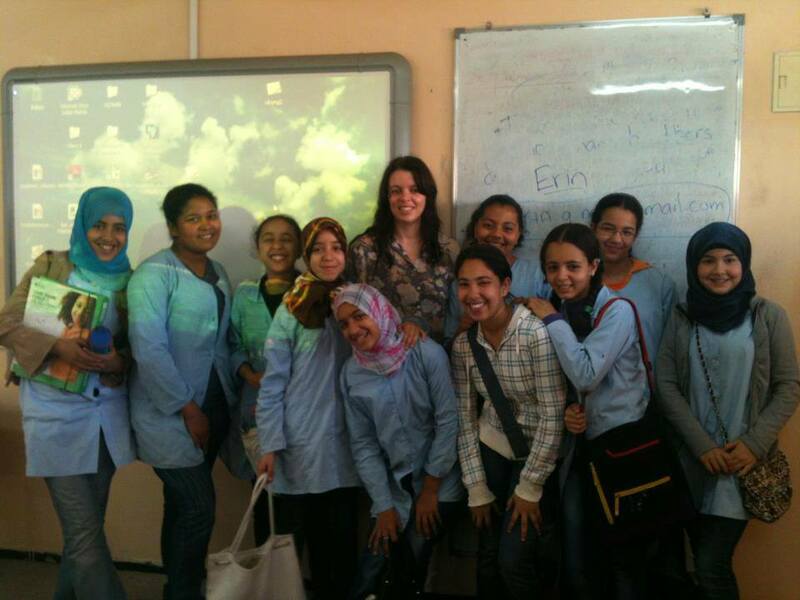 Our volunteers and interns work with underprivileged children teaching them English, French and information technology. Volunteer and intern tasks include running small workshops, helping local teachers, organizing instructional games, and other helpful activities. Volunteers and interns can also help in summer camps. When applying, volunteers must indicate what language they would like to teach; if you can teach both English and French, it should be outlined on your application form. NB Volunteers do not need to be qualified or experienced. 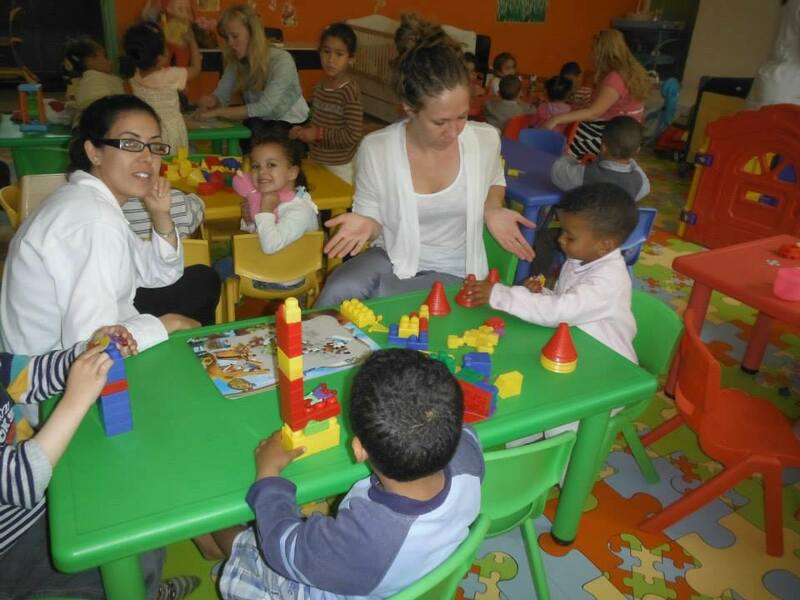 Childcare volunteers work with children with special needs and children from low-income areas by organizing and engaging in activities meant to develop cognitive ability, including physical development, (music, sports, toys and games), language and literature, arts and crafts and theatre. The objective is to provide new and enriching activities for these underprivileged children. Volunteering lasts no longer than 4-5 hours a day, 5 days a week, for those who are the most dedicated. Those students who want to combine their volunteering experience with Arabic study usually have 2 or more hours of volunteering in a given day, with specific days off. Numerous women in Morocco suffer from illiteracy, poverty and unemployment, which negatively affects their social surroundings and also their children’s education. Since 2005 when the National Initiative for Human Development (NIHD) was founded, the Moroccan government has been working hard to improve education and healthcare and promote work for women. MCAS aims to enable Moroccan women to improve literacy and develop professional skills. Volunteers can choose to work in Rabat or surrounding rural areas. Volunteers will work primarily in education but may also work sewing, teaching art, arranging sport and physical activity, teaching computer science or offering academic support for girls. If they possess the necessary skills, volunteers can also provide instruction in finance, management and other work-related activities in schools, high schools and universities in addition to providing moral and social support to female victims of domestic violence. Volunteers with a background in education can also provide training to local teaching staff in education and gender equality. These additional volunteer tasks depend on the duration of the volunteering period (for those staying for longer durations, there will be more opportunities to get involved in these activities). Volunteers and interns who wish to participate in the Working With Women project should have at least a basic or intermediate level of French. We recommend this to ensure volunteers and interns have a positive experience as many of the women who volunteers work with do not speak English. Volunteers must be 18 years or older on the program’s start date and have at least a high school education. Volunteers who wish to participate in the Ramadan Program do not need to be practicing Muslims, however they are required to observe Ramadan customs while in Morocco. All volunteers must provide a criminal background check MCAS upon arrival in Morocco. Arabic and French are NOT prerequisites for the MCAS Morocco program, however in certain placements, volunteer work will be restricted to those with limited Arabic and/or French. Volunteers teaching English must have native-speaker level fluent and Teaching French volunteers must be fluent in French. Volunteers on the Working with Women project must have an intermediate level of French or Arabic while English is always welcome. Volunteers can take advantage of Arabic and French lessons offered exclusively to MCAS volunteers. All programs begin on the first and third Mondays of each month, except during the month of Ramadan when the program will take place on May 24th to June 21st, 2017. Volunteers can choose to volunteer for anywhere from one week to six months.